The Presbyterian church keeps broadening and deepening its outreach in the lofty municipality of Chajul, Quiché, as I saw this week with a team from Guatemala City’s Iglesia Presbiteriana Central (Central Presbyterian Church). Six from Central’s youth group conducted Bible school for 150 energetic kids, and two elders led a leadership workshop. Meanwhile, Pastor Jenner Miranda and I focused on visiting several surrounding Ixil villages where a number of isolated congregations are eager to unite with the wider connection and solid doctrines provided by Presbyterianism. Next we headed to the village of Visiquichum, another hour away, where a small, independent church applied to join the Presbyterian fold. We had a friendly discussion with its leadership, explaining steps in the admission process, distributing booklets about Presbyterian identity and governance, and breaking bread together. (See photo) By then it was 9:00 PM, and we still had to go to the town of Chel, another two hours distance. Travel on Guatemala’s back roads often turns into a madcap adventure, and that’s what happened in this case. The night was cold and wet, the gravel road rutted and slippery, and our van was likely to get stuck. Given these conditions, plans changed. A 4WD pickup was sent from Chel for Jenner and me, while Central’s elders returned to Chajul in the van. After a long delay with the pickup, news reached us that halfway to Chel an overturned road grader was blocking the highway. The Visiquichum church leaders fetched two motorcycles to transport Jenner and me. We sped through the rain to the accident scene, waited while two bulldozers maneuvered the grader onto a flatbed truck, and finally found our waiting pickup. By God’s grace, we finally arrived at about 11:30 PM. Throughout its history, Presbyterianism has been characterized by a passion for education and congregational development. Having witnessed this past week how God continues to use Presbyterians to make history in the Ixil indigenous area around Chajul, our mission team gives all praise and glory to God. Joyful greetings to you from Cobán! In Guatemala, Presbyterians tend to be misfits at Christmastime. They feel uneasy about this holiday, which is dominated by Catholic processions & posadas, & dismissed by Pentecostals as unscriptural & pagan. Poverty disqualifies many Presbyterians, especially the indigenous, from the consumerism of the season. Christmas for them is austere, often without gifts, only tamales, firecrackers & a few familiar carols. The good news is that God sent us Jesus amidst people’s scarcity & doubts. A misfit at his own birth, he’s a Savior for all. In Cobán’s new Presbyterian congregation, we discussed ways to celebrate Christ’s birth while steering clear of traditions that can be confusing in this context. Imported customs like Christmas trees & Santa Claus were spurned (too secularized), while nativity dramas & festive decorations won approval. There was resistance to nativity scenes (graven imagery) & the advent wreath (lighting colored candles can be associated with witchcraft). After thoughtful debate, the advent wreath was OK’d as long as its biblical meanings are explained for everyone. The past year brought big changes for our family. In June we relocated from sprawling Guatemala City to Cobán. We’re in a friendly Q’eqchi’ neighborhood, adjusting to no cable or internet. Our kids transferred from the bilingual American School to a small Presbyterian school with a different academic calendar. Quickly they found new friends, & their sports passion shifted from soccer to karate. Before, we went to Guatemala’s oldest Presbyterian Church; now we’re at the newest, with Philip as pastor. As of July we ended ties to Presbyterian World Mission. Still belonging to the PC(USA), we now serve directly with the Presbyterian Church of Guatemala, grateful for the stipend they’re providing. Of course, there’s continuity too. We’ve stayed involved in partnerships between U.S. & Guatemalan churches, coordinating mission teams & projects in different regions. Philip remains active in the expansion of indigenous theological training, & was proud that last month 60 more graduated with seminary degrees in Cobán. Our focus on developing Cobán’s Presbyterian Complex has grown—with the school campus, dorm, chapel, theological center, & guest house moving gradually from the drawing board to reality. Much is in store for 2015. We’re eager to settle into the manse that’s nearing completion at the Complex. In January, Matthew, Manny & Stefi enter the 7th, 4th, and 2nd grades respectively. Bacilia starts a nursing program at the local campus of Landívar University, & Philip plans to enroll in Q’eqchi’ language classes. Hopefully we’ll travel to the U.S. at some point to see family & mission partners. We await a visit soon by son Daniel, his wife Holli, & 1-year-old Eliza. Daniel’s a staff sergeant at Seymour Johnson Air Force Base in Goldsboro, North Carolina. We rejoice in the enduring presence of God’s grace. Many people have been a means of grace to us through encouragement & prayers, & we’re so grateful. 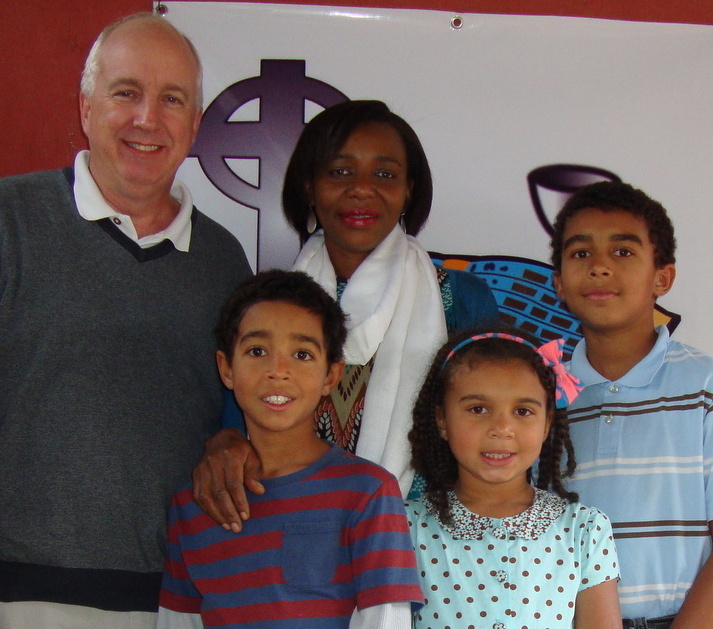 We thank the Guatemalan church for asking us to continue in mission with them. Since the salary they offer doesn’t cover every need, some of you & your churches are contributing towards our work, & this means a great deal to us. The Outreach Foundation handles this support, which should be marked “Beisswenger” & sent to 381 Riverside Drive, Suite 110, Franklin, TN 37064. Our pray is that the remembrance of Jesus’ birth will bring rich blessings to you as you praise God & bless others. May God keep working things together for good, enabling us all to fit into his peaceful kingdom.